Antitussive, antispasmodic, antiprutitic and expectorant properties to maintain expiratory health. 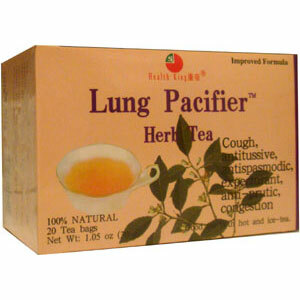 Based upon a proven ancient formula, Lung Pacifier Herb Tea is made of high quality herbs. Chinese medicine uses their antitussive, antispasmodic, antiprutitic and expectorant properties to maintain expiratory health.